Nadia Cakes is very active in our local communities and we have donated hundreds of thousands of dollars in product, gift cards, money, and volunteer hours since our opening in 2009. Most notably in 2015 Nadia Cakes raised $35,000 for the family of Anya Devol, a little girl who passed away from Ewing's Sarcoma. Anya spent one of her last days with Food Network winners, Abby Jimenez and Erin Campbell, receiving a private tour of the bakery with two of her favorite TV personalities. The money raised by Nadia Cakes was enough to pay off all of Anya's medical bills and funeral expenses. Our passion is with helping sick children and local families in need of fundraising. We work frequently with Icing Smiles, The Minnesota Children’s Hospital, Pinky Swear Foundation and like to donate to families in our communities who are dealing with tragedies. As to focus our resources solely on these areas of need, we are donating exclusively to events and organizations that benefit these interests and are not currently doing any other sponsorships or donations. We are NOT able to sponsor sports teams, beauty pageants, grand openings, social groups, mission trips, fundraisers outside of our immediate area or church functions at this time. If your donation request is for a local family in need or a sick child, we would love to hear about your event. To request a donation, please fill out the form on the right and include a detailed summary of your event as well as a copy of any fliers or links relative to your fundraiser. Do NOT drop off any materials to the shop or request donations in person. We are only accepting donation requests via email. *Please note that due to the overwhelming amount of requests we receive, we are not able to reply to every email. If we are able to help with your event, we will get in touch with you with instructions on how to collect our donation. Thank you for considering us for your event. 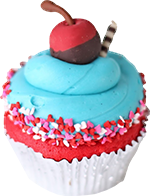 By checking this box and clicking submit on this form, you understand that Nadia Cakes donates exclusively to anything benefiting local children or members of our communities who are dealing with tragedies or illness. As to focus our resources solely on these areas of need, we are not currently doing any other sponsorships or donations. Nadia Cakes is NOT able to sponsor sports teams, school fundraisers, beauty pageants, grand openings, social groups, mission trips, fundraisers outside of our immediate area or church functions at this time.